For some unknown reason, magazines never know what to do with the gorgeous Kerry Washington. According to our forums, InStyle and The Edit have been the only glossies to ever do the actress justice, while the likes of Marie Claire, ELLE and Glamour can’t seem to adequately capture the actress’ beauty. Allure now gets a second chance with the 40-year-old actress for the November 2017 issue, delivering an effortlessly beautiful portrait (finally!) photographed by Sharif Hamza. Eschewing gimmicks and airbrushing, with minimal styling, the cover is sure to stand out at the newsstand. Per usual, members of our forums wasted no time debating the cover. “Passable, but it could be better. I know it’s a beauty magazine, but maybe this closeup is way too close. Her makeup does look great though,” commented Benn98 the moment the cover came to light. “Oh, this is lovely,” sighed Lucien122. “Really beautiful, her last cover for them was awful — made her look sick,” stated t-rex. Srdjan, wasn’t with the majority. “Awful awful hairstyle on the cover. They should’ve let her hair free,” he slammed. “Not a fan at all,” jal718 disapproved. Yay or nay? 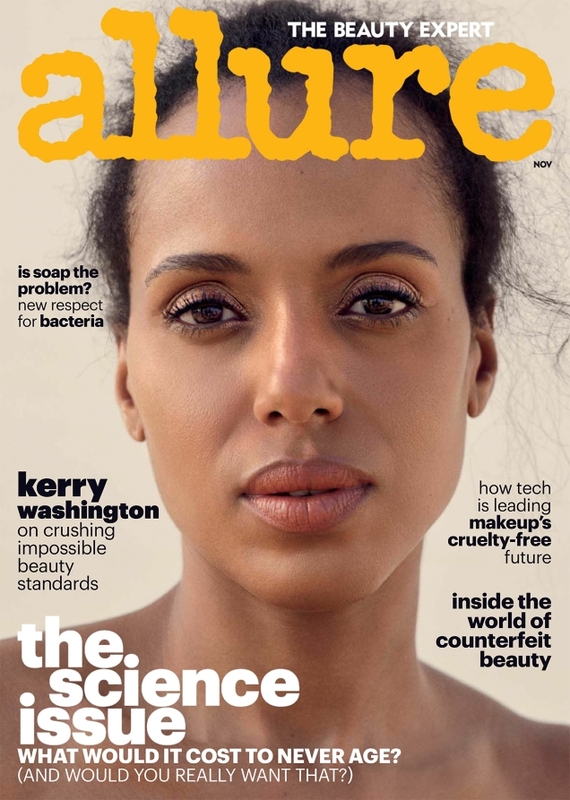 See more from Kerry’s Allure cover story and join the conversation here.